In a landmark victory for indigenous land rights in Brazil, the National Foundation for the Indian (FUNAI) has decided to proceed with the official demarcation and protection of the Munduruku Peoples 700-square-mile ancestral territory on the Tapajós River, in the Brazilian Amazon. The land demarcation is a major political win for the Munduruku Peoples. Under existing Brazil legislation the construction of hydroelectric plants that flood demarcated Indigenous lands is expressly prohibited. This means the Munduruku’s historical territory must now be spared from the same dam-driven destruction witnessed in the Xingú region since construction work began on the controversial Belo Monte dam project. The recent move by FUNAI also sets a new legal milestone for Indigenous Peoples demanding land demarcation as a way to protect their territories. FUNAI, the Brazilian acronym for Fundação Nacional do Índio, announced the decision to demarcate the Munduruku’s territory on the Day of Indigenous Peoples, April 19, 2016. Acting in its official capacity as the government body responsible for establishing and carrying out policies relating to Indigenous Peoples, the institution published documents identifying and recognizing the Munduruku’s ancestral rights to Sawré Maybu, a territory of 178 thousand hectares located between Itaituba and Trairão, in the state of Pará. FUNAI’s decision to demarcate ends a long-standing and heated political battle between Brazil’s energy sector and Indigenous Peoples in the Tapajós. For at least the last five years, the energy sector has insisted that no Indigenous Peoples have ancestral ties to the region. FUNAI’s announcement brings an end to that argument, confirming that the Munduruku have historical ties to the dam-threatened area. The final demarcation still depends on a presidential decree that cannot be published for 90 days – a normative timeframe to allow questions and debate to take place – nevertheless, the Munduruku territory is now all but secured from the consequences of the São Luiz do Tapajós dam. Munduruku cacique (leader) Jairo Saw considers FUNAI’s decision to be an historical victory that indicates the articulation of Indigenous struggles in the Tapajós region. FUNAI’s President João Pedro Gonçalves da Costa, complimented the cacique’s sentiment, stating that the recognition is unavoidable. “It is impossible and unacceptable to deny the tradition and historical presence of (Munduruku) peoples in the Tapajós,” he said. The São Luiz do Tapajós dam carried an estimated cost of BRL$32.52 billion (USD$9.12 billion) and would have generated on average 4.012 megawatts per year, about the same as the Belo Monte Dam, also in the state of Pará. On its own, the São Luiz do Tapajós dam would provide almost half the energy of all other hydroelectric plants planned in Brazil for the next ten years, supporting over 20 million homes. Yet its environmental and human cost was brutal. The São Luiz do Tapajós dam would not only take the Munduruku’s ancestral lands. The total flood area would encompass 729 square kilometers of pristine Amazon rainforest. To put things in perspective, the Belo Monte Dam flood is set to flood 503 square kilometers. Like the Belo Monte dam, the São Luiz do Tapajós dam has been constantly entangled in judicial irregularities and corruption scandals. In 2014, Brazil’s government announced the dam without an environmental license, a fatal move that forced the government to cancel planning a couple days later. 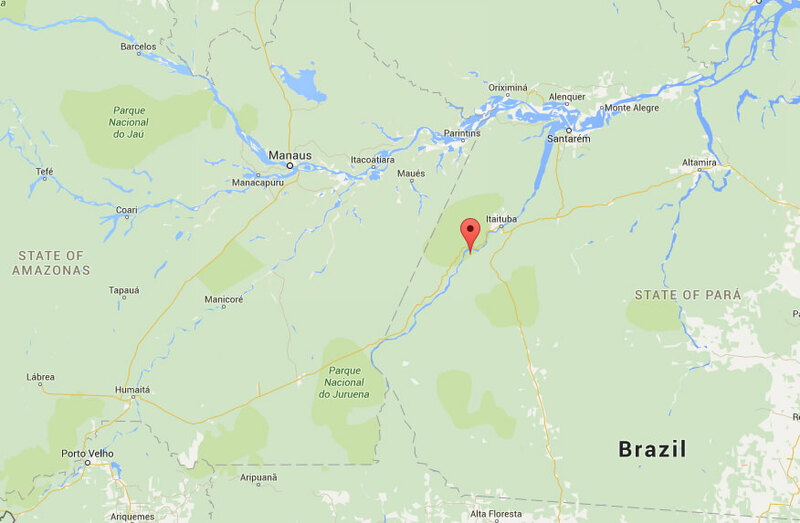 When a judge ordered FUNAI to expedite land demarcation in the affected area, the Federal Government in Brasilia overturned the ruling claiming there was no need for demarcation. The government stakes were high, placing considerable pressure on then-director of FUNAI Maria Augusta Assirati to uphold the process of land demarcation. She admitted in a meeting with Munduruku authorities that she was expected to secure the hydro dam’s interests. Just days after that meeting she resigned from her post. FUNAI held back the land demarcation for years. Jairo Saw, cacique of Sawré Maybu, said that when they realized that they could not count on FUNAI the community decided to start the process of demarcation on its own, autonomous from the government. In 2016, the dam project was placed on the market once again; the government repeating its past failure to carry out a free, prior and informed consultation process with the Munduruku as required by the Convention 169 of the International Labor Organization (ILO 169). The absence of land demarcation resulted in various forms of abuse and the mobilization of the UN Special Rapporteur on Indigenous Issues to the region. In March 2016, Victoria Tauli-­Corpuz visited Altamira to hear complaints and testimonies about the planning of the hydro-plant. She met with 13 representatives from various communities from the Tapajós river valley: munduruku, arara vermelha, apiaká, arapiun, borari, jaraqui, kumaruara, kayabi, tapajós, tapuia, tupaiú, maytapu, cara preta e tupinambá. 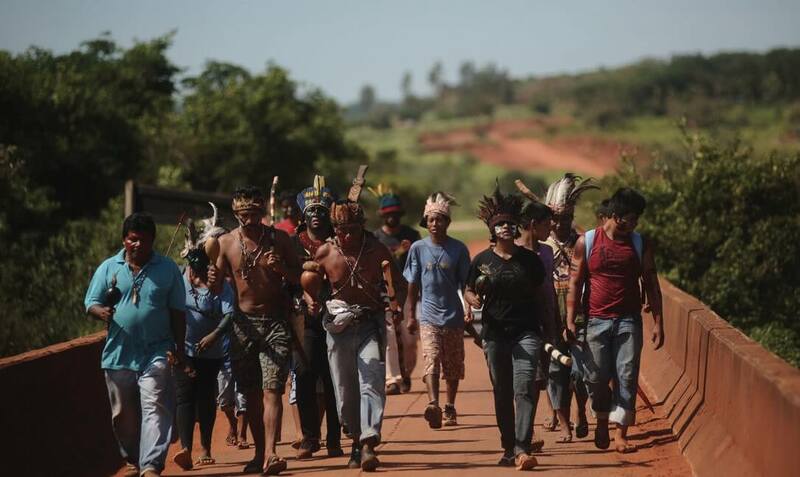 Indigenous Peoples denounced the disrespect of the patrimony through the state of Pará. In addition to hydro dams, they explained at the time they were also victim to the invasion of loggers, mining, agri-business, and even carbon credit projects. The violence on their lands was tacitly permitted by the silence of judicial institutions in Brasilia. During her visit, Tauli­-Corpuz foresaw that it was possible to paralyze the dam construction. She encouraged the Munduruku to continue their resistance. She also talked about her own experience resisting the construction of a dam in the 1970s-1980s in the Philippines. Their unity gave them strength, she later claimed, in a struggle that is not only for the Mundurku but for all Brazilians, for generations to come. Solidarity ultimately led the way to success. Strong collaborations among communities from the Xingú and Tapajós regions played a crucial role in achieving the land demarcation. Community leaders from the two regions recently met to celebrate a commitment of cooperation and mutual support. At their gathering, they sealed an agreement to gather all their force to prevent the consequences of the Belo Monte from being repeated in the Tapajós river basin. In the recent past, the Munduruku also issued the Munduruku Consultation Protocol demanding their right to prior consultation in accordance with international law and Brazil’s constitution. With the Munduruku and their allies standing at the ready, they now await the President’s decision to uphold the letter and the spirit of Brazilian law.